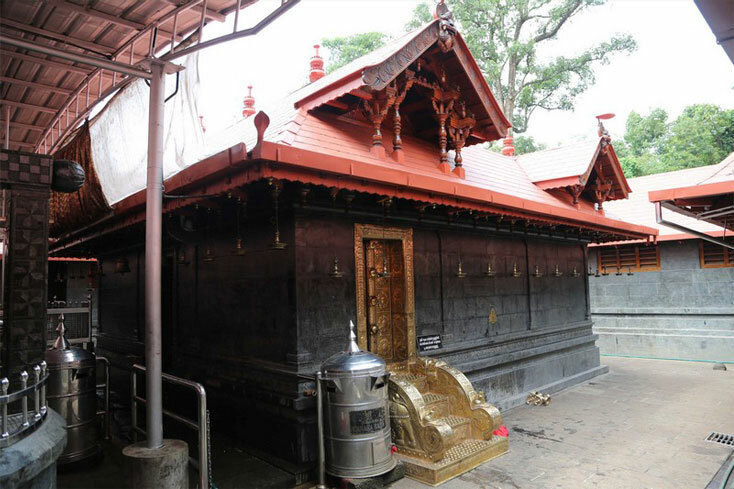 Kadampuzha Devi temple is dedicated to goddess Vana Durga and is located in Malappuram district. The architecture of the temple is very simple. It is believed to be around 1900 years old. It is under the control of the Malabar Devaswom board. In this temple, the goddess is worshipped in 3 forms namely Vidhya Durga, Vana Durga and Aadi Durga. Vidhya Durga is considered to bless the devotees for having a better education and career life. Vana Durga is believed to bless the devotees for marriage, health and good living. Aadi Durga is considered to bless the devotees with wealth. Some of the rituals performed here include the ‘Poomoodal’ and ‘Muttarukkal’. On Friday night, the idol of goddess would be completely covered with Thechi flowers. This is called as Poomoodal. Muttarukkal is an offering made by cutting coconut into two half’s. This is done to ward off any obstacles in the person’s life. If the coconut is not broken properly, then it is considered as bad and that the obstacles of the person are not yet over. Hundreds of people come here to perform this ritual and it is estimated that around 30 lakhs of coconut are bought to this temple by the devotees. There are no major festivals in this temple other than Karthika that is celebrated on the Karthika day of the Malayalam month Vrishchikam. On this day, there is a feast called ‘Annadhaanam’ to over 10,000 devotees.